This is not a golf course. 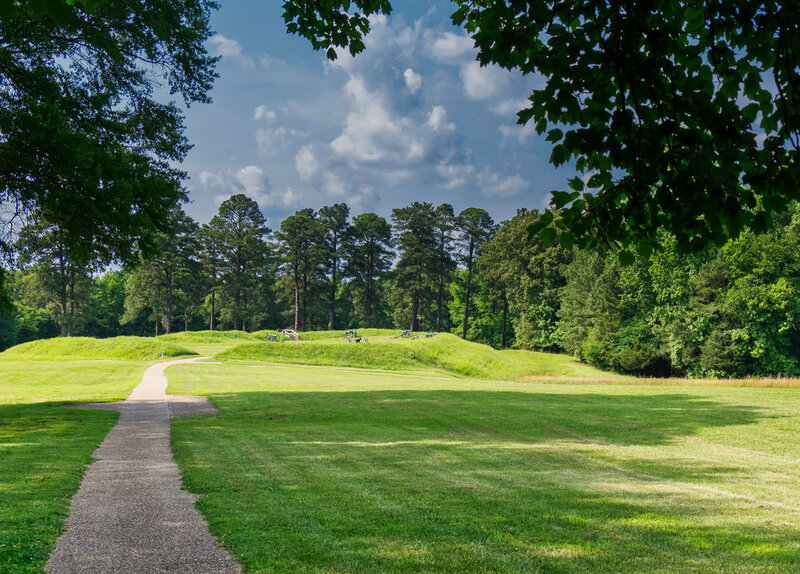 It is a path leading to a fort at the Petersburg National Battlefield. One of many forts that were part of the siege of Richmond/ Petersburg by the Union Army. This one, constructed by and used by the Confederate troops was captured June 15th, 1864. A huge mortar was set up here to shell troops across the river. It was nicknamed "The Dictator." The Dictator replica set up today at the park.